Whether you are brand new to the world of meditation or you have an ongoing meditation practice, these meditation offerings can help you dive deep into your practice. Jenn will be offering 4 Saturday Workshops throughout 2019. These workshops are based on Meditation Secrets for Women by Camille Maurine and Dr. Lorin Roche. 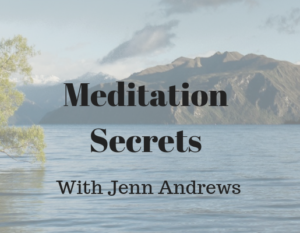 Each Saturday workshop will cover 3 of 12 meditation secrets. You can take just one workshop, or choose to take all 4. Fee for each workshop is $99 pre-registration or $108 at the door.